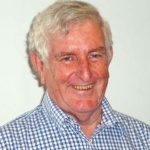 A career of being a school counsellor after teaching in Primary and Special Schools did not prepare Jack L’Estrange for the task of supporting parents whose children were being assessed for learning needs. A study of Neuro-Linguistic Programming helped him start to develop a way of giving parents skills to support learning at home. He found that we should not be limited by current thinking about how children learn. Parents will develop the skills to enhance their child’s learning using easy to learn strategies. Jack became involved with the Relaxation Centre in its early days at Fortitude Valley.